The perfect compliment to our line of Skin Protection and Fitting (SPF) Tapes. Made from a smooth polyester fabric, this vibrant blue SPF tape is thinner than our popular cotton fitting tapes and has plenty of stretch. It is recommended as a release agent or replacement for messy powder. Available in 1” rolls or 30 pc Pre-Cut Packages. Is this precut or a roll? This is a roll. To see all options we have in stock type Turbo Quick Release into the search box at the top of the page. 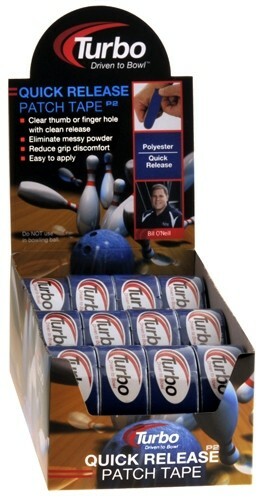 Due to the time it takes to produce the Turbo Quick Release Patch Tape Roll ball it will ship in immediately. We cannot ship this ball outside the United States.